I love cast iron! Really if you buy only one pan, make it a cast iron. I have both stainless steel and nonstick pans in my arsenal, but the ones I simply cannot do without are my tried and true cast iron…or as Paddy calls them Cat-stiron. In our collection, we have a Dutch Oven which is the perfect pot for stews, soups, and roasts. Unfortunately for this guy, we hadn’t used him in a couple years, which meant his seasoning left a little something to be desired. If you have ever cooked with cast iron, you know that seasoning is everything! So the longer the pot went without being used, the worse the seasoning became, and the less excited I was about redoing it. There were things I wanted to make that needed this pot, but I always put them on the back burner (no pun intended) because I was just not interested in spending the time it would take to re-season the poor thing. Then it struck me…One of the things I kept putting off was donuts…fried donuts. 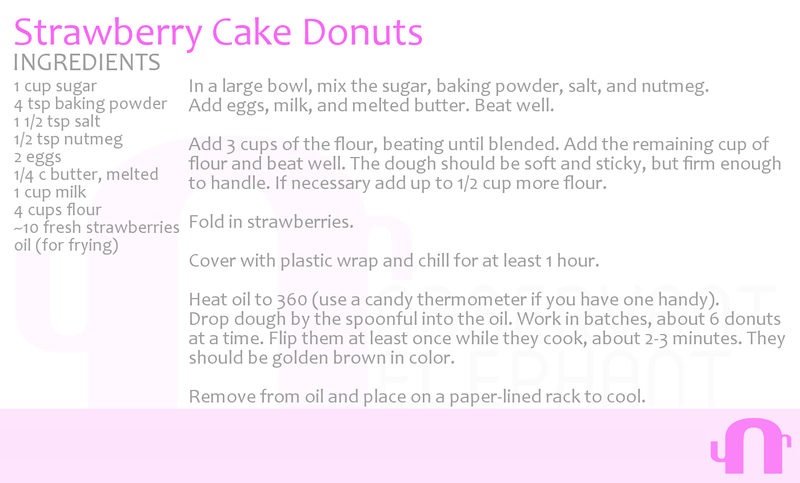 I have always wanted to try to make homemade, fried donuts, just to see how they would turn out. It finally clicked…if I fry a batch of donuts in the dutch oven 1) I don’t need to season it first and 2) it could actually improve the existing seasoning. Win! Win! So, a couple things…donuts are the shape they are because of the way they cook in hot oil. If you choose to forgo the traditional shape, make sure you make each donut small enough to cook through. If they are too large, you will end up with a family of sad faces looking back at you as you pull apart that freshly cooked donut only to discover that the inside is still raw. Not saying this happened to me…just something to be aware of. Next, temperature. Cast iron holds heat better than any other material that I’ve cooked with, but keeping that perfect oil temperature for frying is not an easy task. 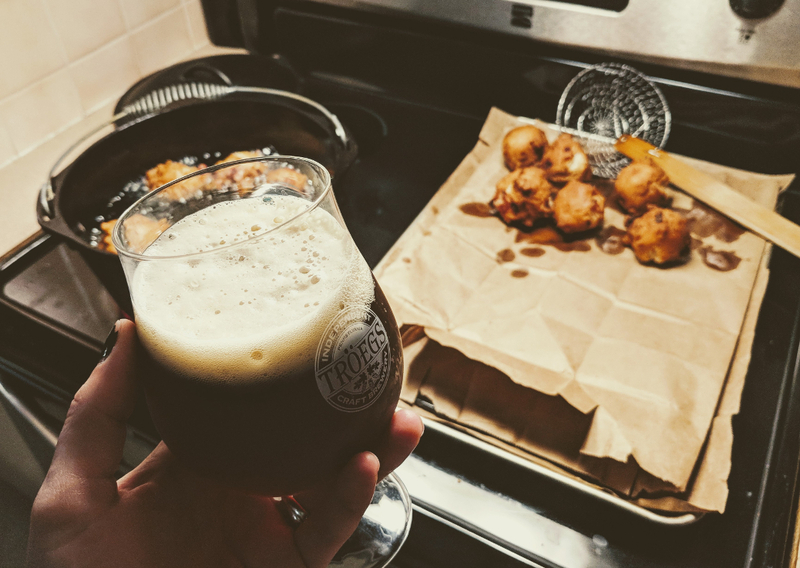 Hot tip, when the oil gets to the temp you want it, turn the stove off, when it cools a couple degree turn it back on…rinse and repeat until your donuts are finished. 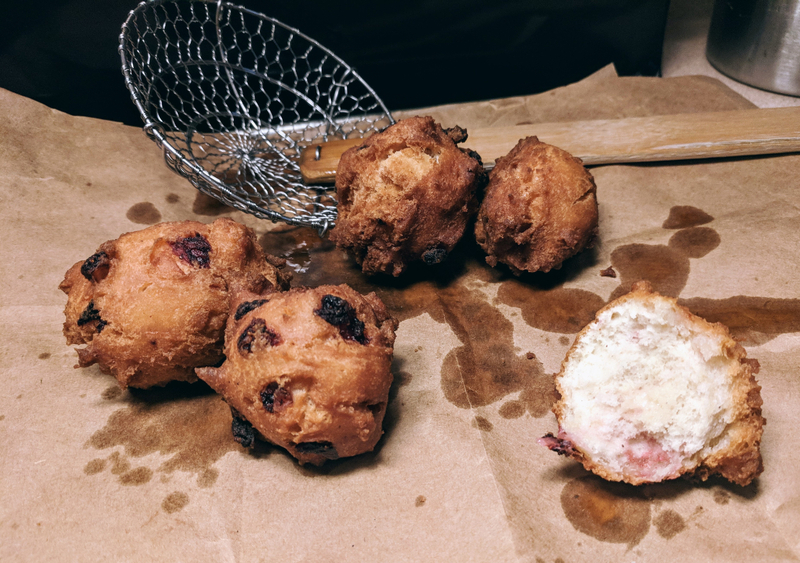 For my first attempt at frying donuts, I was pretty pleased with the results! There are a few things I would change the next time around. But hey…that just gives me a reason to eat more donuts.